Likely start dates and times based on last year's popular seasonal event. Our Overwatch Winter Wonderland 2018 start date and time page contains launch details for the US (PT), UK (GMT), Europe (CET) and other global regions. Now that the weather's taking a somewhat frostier turn, our thoughts have of course started drifting towards Overwatch's Winter Wonderland 2018 event. It's safe to say that much of last year's event will be repurposed this year, so expect the usual array of skins, map tweaks and game modes. Right now, we can only really speculate on the exact start and end dates for Winter Wonderland 2018, although it's worth keeping in mind that the devs never really veer away from previous years. Before we do anything else, here's a comprehensive table which outlines all of the regional start times, so that you can look up the almost-certain start time for Winter Wonderland wherever you happen to be in the world. Although double check the accuracy of this chart every time we publish it, mistakes do happen. Please make a post in the comments if we've got anything wrong in your region and we'll fix it just as soon as we can. Here are the expected global start times for Winter Wonderland 2018. Blizzard has confirmed that Winter Wonderland 2018 will begin on Tuesday, 11th December 2018 and end on Wednesday, 2nd of January 2019. For a nice overview of what you can expect from this year's Winter Wonderland event, make sure you give this video by Overwatch Central a watch! Winter Wonderland is Overwatch's seasonal celebration and the update always add some delightfully Christmas-ey skins and other cosmetic items to Overwatch (as you'd expect from any seasonal event), it also provides us with a couple of new game modes to sink some time into. Expect Mei's Snowball Offensive, and Mei's Yeti Hunt to make a return. Other maps got a bit of a festive makeover as well. 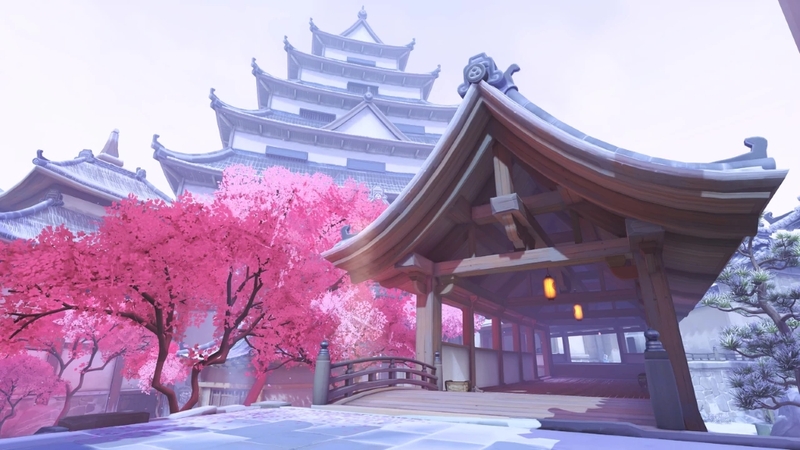 Hanamura and King's Row were both given a much frostier feel to mark the season. Mystery Heroes was also reworked as Winter Mystery. In this new version of the randomised mode, map play was limited to both of these remade maps - all other elements of the game mode remained the same, however. For many players, seasonal events are all about the Loot Boxes, however, so what can we expect to see this time around? Well, Blizzard's established a pretty clear pattern of bringing back old content at a reduced price, while introducing a new crop of festive items at a much higher cost. Expect that to repeat for Winter Wonderland 2018, giving you a second chance to unlock all the previous cosmetics. We'll be bringing you ongoing coverage of Winter Wonderland throughout the coming weeks, and you'll be able to find everything to do with the event on the homepage as soon as it's published. Don't forget to let us know what you're hoping to see from the new event in the comments!